Travelling to Davos is best done by train, the nearest international airport being Zurich (click on the airplane symbol), some well-connected 150 km away from Davos. The train ride through the picturesque pre-alpine and alpine environment is a very special experience. Click on the train symbol to find a train time-table for the Swiss Railways. Have a look at Swiss Transfer Ticket for a good option to obtain a flexible ticket for your trip from any Swiss airport or border train station to Davos and back. Are you looking for a room-mate or would like to find cheaper travel arrangements with a colleague? 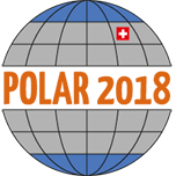 Please go the the facebook POLAR2018 travel group to find good options.